COME EARLY (6:00PM) to watch the fourth episode of HBO’S “Hard Knocks” featuring our Browns. 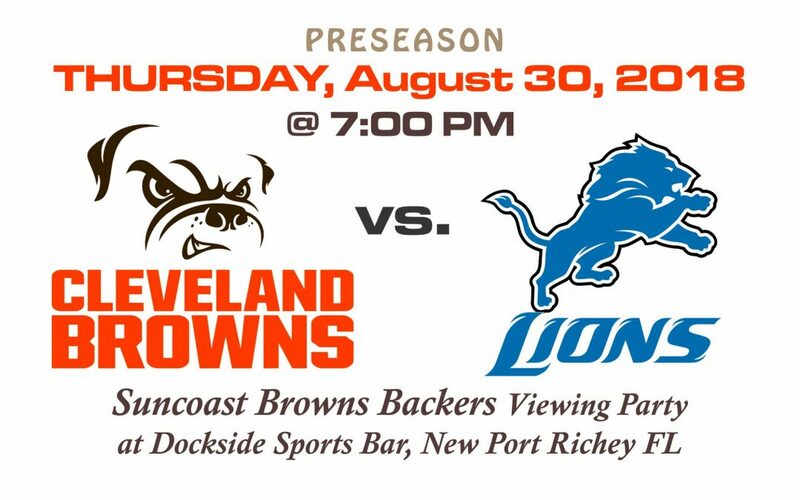 PRESEASON – Game 4 has the Cleveland Browns boogieing up to Motown to play the Detroit Lions. But here in Florida, the Suncoast Browns Backers will be watching the 7:00 PM game at Dockside Grille in New Port Richey.